A palette which is little hard to work with but definitely has some different shades than usual i.e cool tone. 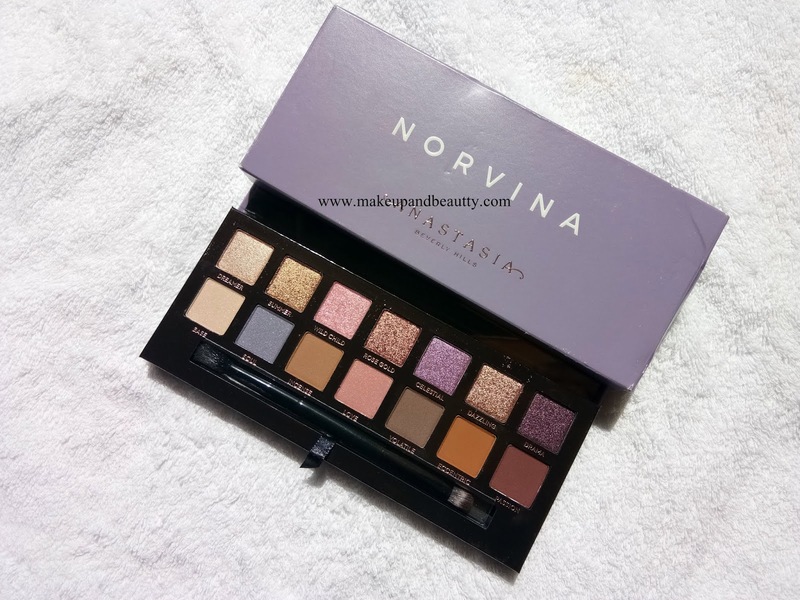 A palette that wins my heart at first sight is Norvina Eye Shadow Palette. 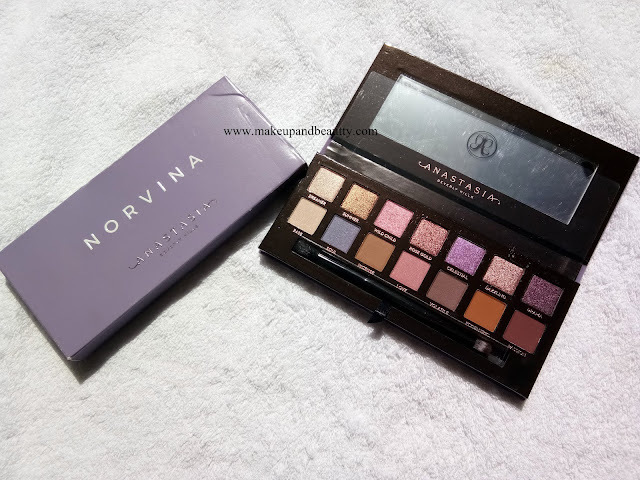 Norvina Eye Shadow Palette is almost similar in packaging with ABH MODERN RENAISSANCE PALETTE and ABH SOFT GLAM PALETTE. Only the outer packaging color of this palette is light lavender. 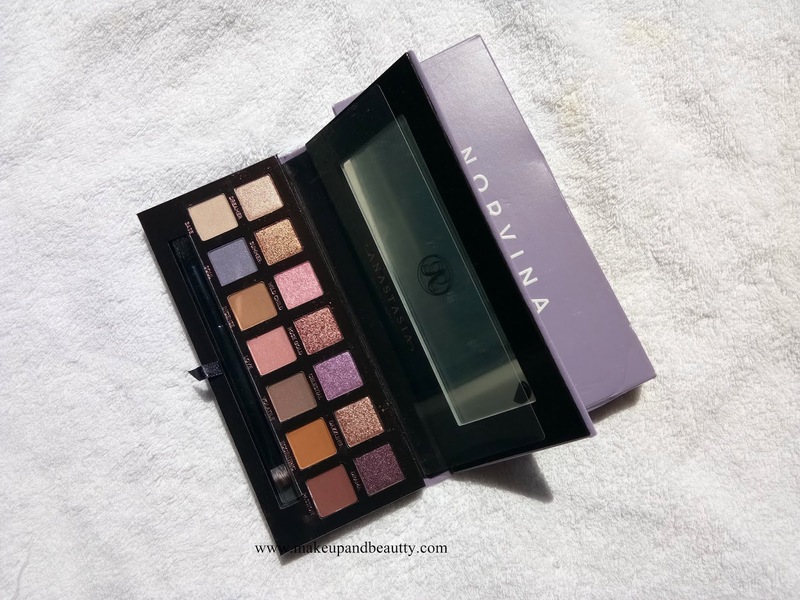 The palette comes up with a mirror and with a dual-ended brush. The palette has 14 mixed finish eyeshadows. The palette is a cool tone palette. 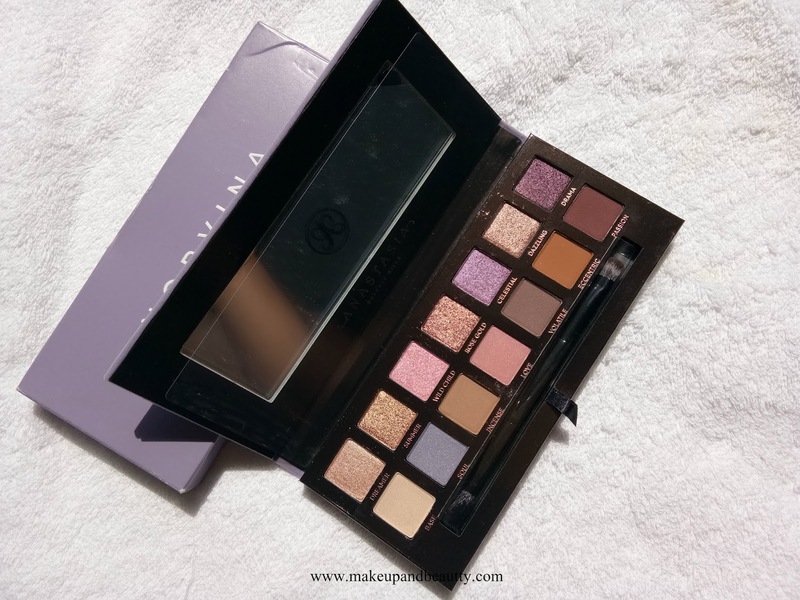 Most of the shades are cool tone and so the first glimpse of this palette create a mixed kind feeling among makeup lovers. Few just love it and comes up with some awesome eye makeup while few just skipped it silently. 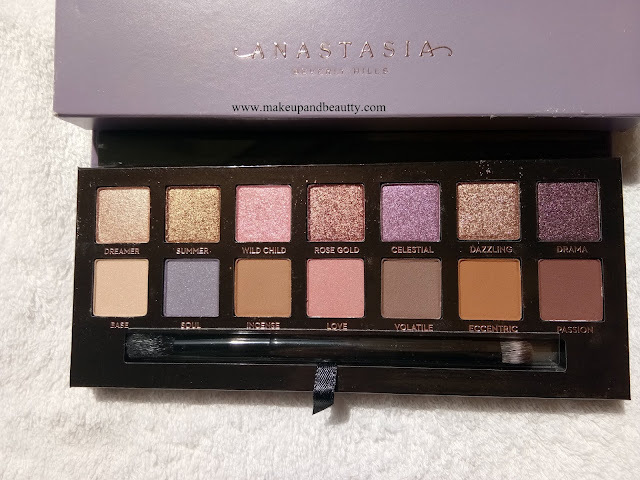 I grabbed this palette because I love the shade range in this palette. 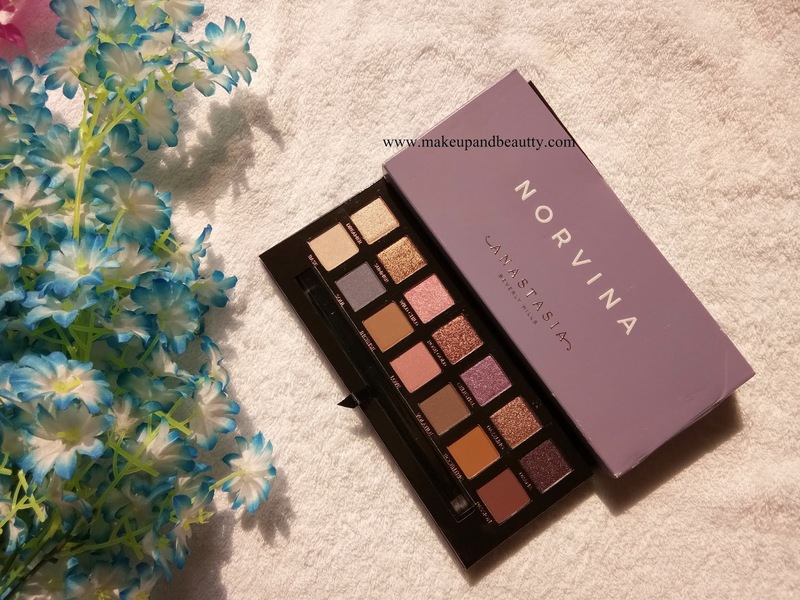 Being a warm undertone skin tone, it is quite challenging to try out this palette. 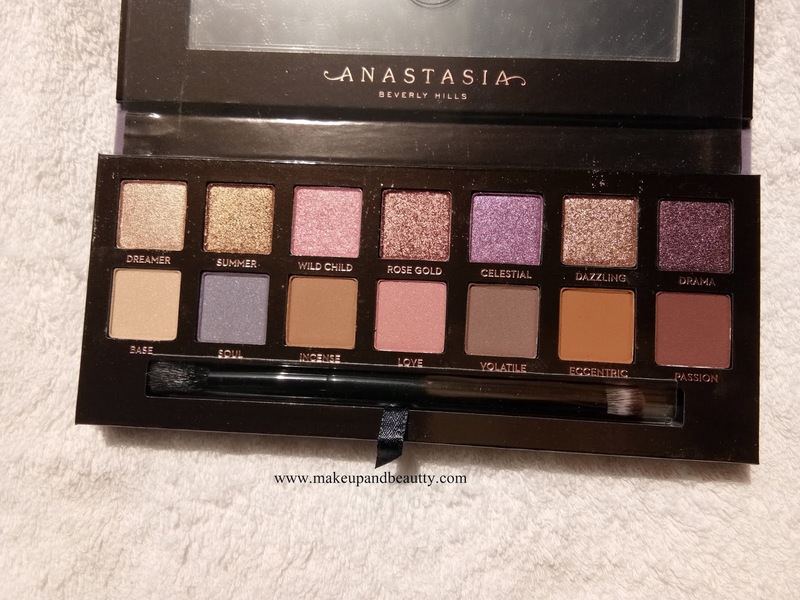 And secondly, it is an off bit kind of palette, something that I don't have in my stash before this one. 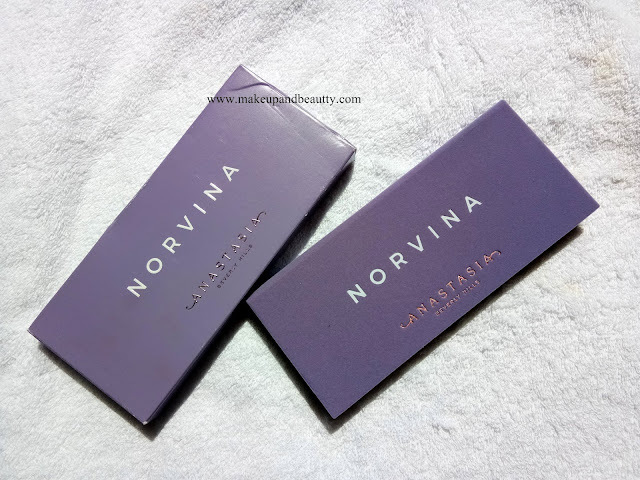 The shades are quite pigmented. The shadows are easily blendable and very less fallout. 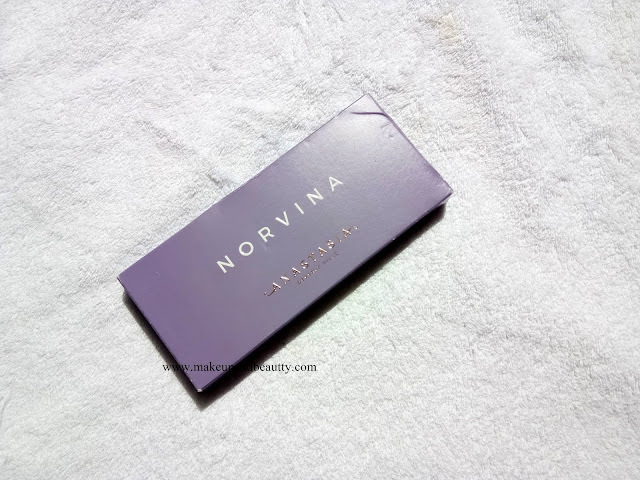 The shades are very soft in texture and not powdery. 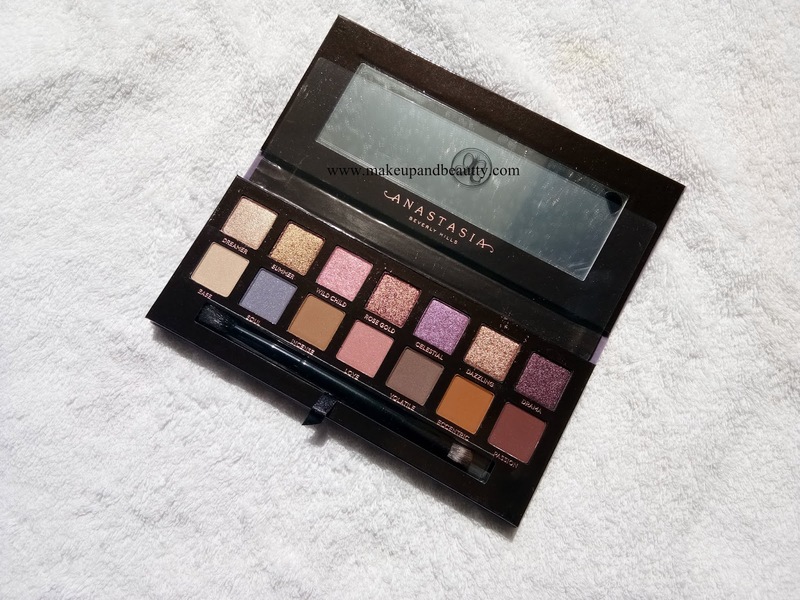 The metallics are soft and if you touch it with the finger you can feel it is pressed metallic eyeshadows which will work best with fingers or with a flat damp eyeshadow brush. 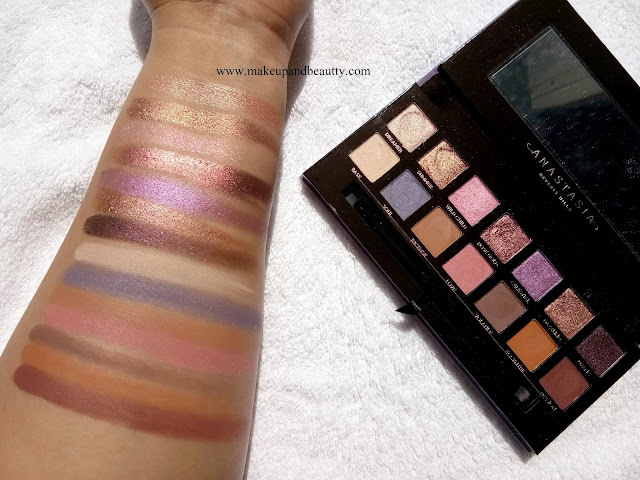 The pastel shades are little lighter and that's why they may be show less on dusky skin tone. 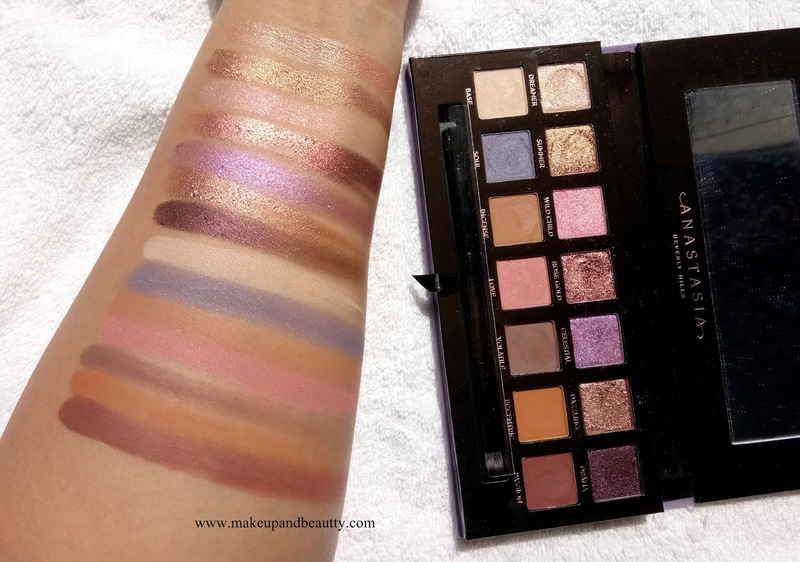 The pastel shades need 2-3 layering to get the exact shade on eyelid whereas the bold ones are just to go. 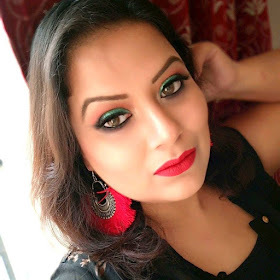 In fact, bold shades should be used light handed as they are very pigmented. In short, it is another great creation of ANASTASIA BEVERLY HILLS. I just love the palette.